We are a small responsive company dedicated to the design and manufacture of Printed Circuit Boards (PCBs). We hope our competitive prices will tempt you to try us, but we believe our exceptional service will compel you to rely on us. We can offer rapid turnaround of all PCB types - whether you need only the artwork, manufactured PCBs, or fully assembled boards. If you're in a real hurry, then just give us a hand drawn schematic and we'll do the rest - no hassle, no worries. 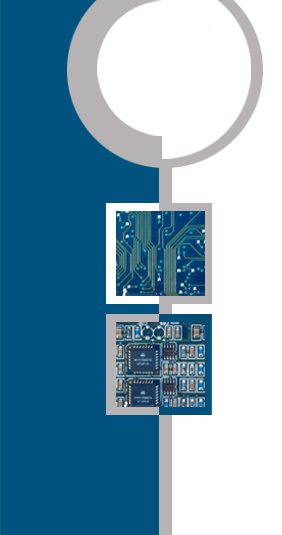 Through continuous investment in Cadence Allegro PCB Design, Allegro Design Entry HDL and Orcad Capture we produce high quality cost-effective PCB designs - from single-sided, through to multilayer with split planes. We design and manufacture PCBs to accommodate both leaded components and fine-pitch surface-mount components - from flexi-rigid to ball-grid array. Whether you need a new design or a modification to an existing board, we will work closely with your design engineers to ensure that critical signal paths are routed correctly, and component placement does not hinder manufacture or assembly.